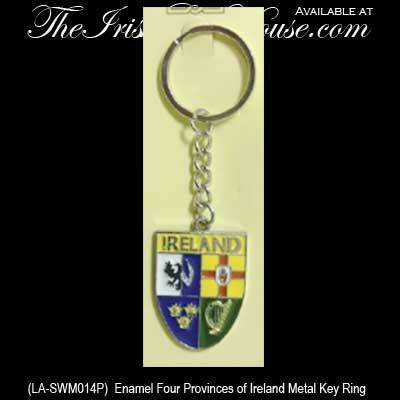 Irish Gifts - Enamel Four Provinces of Ireland Metal Key Ring. Ireland’s Four Provinces are Ulster, Munster, Leinster and Connacht. 1 1/8 Inch x 1 5/8 Inch Full Color Emblem, Silver Tone Metal, Gift Packaged.